Are you looking for information on how to pass the Enrolled Agent (EA) exam? The EA exam has 3 parts that you must pass in order to receive the EA designation. In this Enrolled Agent Exam Part 1 guide, we will tell you everything that you need to know to prepare effectively and pass efficiently. Before you take the exam, you need to learn all you can about the syllabus, the format, the difficulty, and the best passing strategies for this part of the exam. And, you’ll find all of that information here. To pass this exam, you must know the content it covers. You’ll find that content in the EA exam syllabus. The EA exam focuses on the niche of federal taxes. It will address the topics of individual and business taxation. 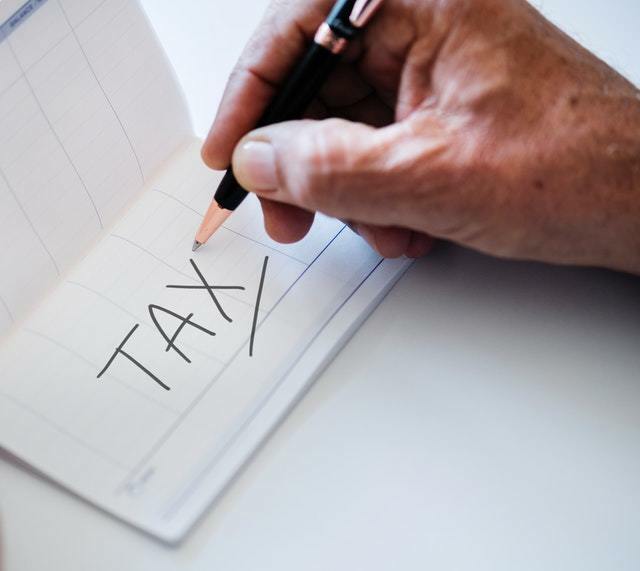 Because the tax code is basically a list of rules, passing Part 1 involves memorizing the tax code, applying the tax code to various tax filings, and using the tax code to make specific tax interpretations. The IRS has dedicated Part 1 to individuals specifically, so it’s called Part 1: Individuals. The IRS Enrolled Agent Special Enrollment Examination Bulletin breaks each topic list down further into a host of topics. Therefore, you can review this information to discover what the exam questions will ask you about and how much of that knowledge you already have. What is the Enrolled Agent exam pass rate for Part 1? Well, Part 1 focuses solely on individual taxation, so it is pretty straightforward. However, the pass rate for this exam part has dropped over the past couple of years from 72% to 61%. Some people speculate that the reason for this drop is a lack of preparation on the part of test-takers, as Part 1 has a reputation for being easier than the other exam parts. Therefore, to give yourself the best chance to pass and overcome the pass rate drop, you must study well and prepare fully. Also, the EA exam pass rates are a bit higher than the CPA Exam pass rates, the CMA exam pass rates, and the CIA exam pass rates. In fact, the average EA exam pass rate is a full 20% higher than that of the CPA Exam. But don’t let these stats fool you into thinking the EA exam is easy. Each part of the exam is long and asks you to answer dozens of questions. Therefore, you can only pass with dedication and preparation. Don’t take anything for granted on the EA exam. Another element of EA Exam Part 1 that you must understand to pass is its structure. Multiple-choice questions(MCQs) are the only type of question that appears on the EA exam. And, Enrolled Agent exam Part 1 has 100 MCQs. Of these 100 questions on the first part of the EA exam, 85 are scored questions. The other 15 are experimental questions. The IRS weighs the 85 scored questions equally. Furthermore, the IRS does not score the 15 experimental questions. So, your EA exam score for Part 1 comes primarily from those 85 questions. However, the 15 experimental questions are spread out throughout the test, so you don’t know which ones they are. This means you will want to do your best on ALL of the questions since you don’t know which ones will count towards your score. Direct question: This MCQ type simply asks a question. For example, what color is the dog? As you can see, these kinds of MCQs aren’t too complex. So, once you’re familiar with the exam content and question formats, you can perform well Part 1 of the EA exam. 1. Two taxpayers married on November 30. That same year, the husband enrolled in an accredited college to further his career and subsequently received a Form 1098-T, Tuition Statement. The wife was employed with an income of $45,000 and paid for the husband’s education expenses. Based on their circumstances, what is the correct method to report the education credit? The IRS explains that the Prometric testing centers administer several different versions of the EA. Then, the IRS uses a scaled scoring process to ensure that all of these versions are comparable. The IRS assigns a worth of 1 point to each question and then converts your raw EA Exam Part 1 score (the number of questions you answered correctly) to a scale of 40-130. The IRS has set the EA exam passing score at 105 on this scale. So, as long as your score falls between 105 and 130, you will pass. Some people try to figure out the exact number of questions they need to get right to secure a passing score, but the math can get very confusing. Remember, only 85 of the questions are scored, and you won’t know which ones. Therefore, it’s best to not worry about the passing score but simply focus on being as prepared as you can be. The Enrolled Agent exam has 3 parts, and you must pay a testing fee for each one. The EA exam testing fee is $181.94. You must pay this fee when you schedule the Enrolled Agent exam at a Prometric testing center. Prometric testing centers accept MasterCard, Visa, American Express, and electronic checks. The Prometric website doesn’t specify whether debit cards are an acceptable form of payment, so you may want to call about using one. Prometric does not accept money orders, personal checks, or cash, so come prepared to pay with an approved payment source. Additionally, the Enrolled Agent testing fee is non-refundable and non-transferable. If you fail part of the EA exam, you’ll have to pay the testing fee again when you register to retake your failed exam section. Therefore, you can cut EA exam costs by passing each part the first time. It’s the best strategy for saving money on the EA! Once you pass the exam and are ready to become an EA, you must pay $30 to the IRS in order to complete the enrollment process. You pay this enrollment to practice fee at the same time that you submit a form (Form 23). You must do both within 1 year of passing all 3 parts of the EA exam. After that, you must pay maintenance fees in order to retain the EA designation. Finally, you’ll also need to attend continuing education (CE) seminars or sign up for online CE courses to keep your designation active. On average, the cost of CE is typically no more than $200-300 per year. Just like the other EA exam parts, EA exam Part 1 offers 3.5 hours of total testing time. However, you’ll have to spend 4 hours at the Prometric testing center so that you have 30 minutes to complete your pre-exam tutorial and a post-exam customer satisfaction survey. An on-screen timer shows the time you have remaining for the exam. Furthermore, the exam timer does not stop for any standardized breaks. So, you can leave the room to get a drink of water or use the restroom, but you’ll lose testing time to do so. Because you have 3.5 hours to finish 100 MCQs, you can allocate 2.1 minutes to answering each exam question. You can sit for the EA exam Part 1 most months of the year, but not all. Specifically, the EA exam testing window runs from May 1 to February 28 of the following year. During March and April, the IRS updates the test according to the most recent tax laws, so you can’t take the exam during this annual blackout period. Additionally, once you pass the one part of the EA exam, you have 2 years to pass the other 2 parts before you lose credit for the part you passed. How long does it take to study for Enrolled Agent Exam Part 1? Well, the various review providers offer different study time suggestions for each exam part. For example, Fast Forward Academy believes candidates need to spend anywhere from 40-70 hours studying for each exam part. On the other hand, Gleim EA Review suggests studying 80-100 hours for Part 1 and Part 2 each and 60-80 hours for Part 3. So, the amount of weeks it takes you to accumulate these study hour totals depends on how many hours you study each week. Consequently, the more time you study on a weekly basis, the faster you can finish your Enrolled Agent exam Part 1 preparations. Studying for at least 10 hours a week. This step helps you study habitually and cover all of the material. Study each major content area for at least 5 hours. Adjust your study schedule to accommodate how busy you will be during tax season. Along with learning about the exam, the other most important thing you can do to pass EA exam Part 1 is study effectively. And, following these specific EA exam Part 1 study tips will help you do just that. The number one step you can take to prepare for any test is to know the material. For Enrolled Agent exam Part 1, this step involves digging deeper into the topics in the syllabus and understanding each topic at an intermediate college level of depth. Thankfully, when you use an enrolled agent review course, all of this information will be available to you. You can read textbooks that explain the exam content. You can also answer practice questions just like the ones you’d see on the real exam in order to assess your knowledge. Since Part 1 is all about personal taxation, you’ll mostly be learning about tax law. To some extent, you can rely on your personal experience to get you through this section. But, you’ll also want to review the laws themselves, as you don’t know exactly which questions will be asked. Again, an EA review course is what you need to take this step. Depending on your prior education and experience, certain EA exam Part 1 content areas may be more familiar to you than others. To determine which content areas you know well and which ones you don’t, start your EA review off with a practice quiz. Then, use the results of your practice quiz to discovering and targeting your weak areas in particular. Focusing on your weaknesses is definitely one of the most effective ways to learn. It also saves you time, as going over your stronger areas just as often as your weaker areas is unnecessary. So, once you know what your weak areas are, you can concentrate on strengthening them. Improving your understanding in these areas enables you to prepare for the worst-case exam scenarios. And then, once you’ve enhanced your weaknesses, they won’t be weaknesses anymore. Instead, at that point, you’ll be ready for anything! Furthermore, when you prepare with a review course that contains a tracking system or performance analytics, managing your weak areas will be much easier. You can then steadily improve until exam day. Another great way to ensure that you’re actively learning is to take notes while you read the books or watch the videos. To take good notes, jot down information that stands out to you, especially about concepts you consider a bit tricky. Writing down the details of your weak areas helps you achieve clarity, deepen your understanding, and improve your retention. Reading through your notes again also gives you more explanations of your weak areas, and sometimes, even a very useful fresh perspective on them. What is hard for one person may not be as hard for another person. For this reason, taking your own notes can help you take your learning even farther than your review course can on its own. When you know you need to catch up on the basics to strengthen your weak areas, you can start by reading the textbooks or watching the video lectures. However, once you’ve reviewed the concepts, you must start testing yourself on them by answering practice questions. The process of answering practice questions measures our levels of knowledge and solidifies concepts correctly in our minds. Furthermore, the most valuable part of each practice question is the explanation for each answer option. After you complete a practice quiz, you must go back and read the answer explanations for 2 reasons. First, because they will help you verify that you answered a question correctly for the right reasons. And secondly, because they will help you see why you answered a question incorrectly and why the correct answer was right. Though reading the answer explanations adds to your quizzing time, this step is as worthwhile as answering the questions in the first place. One of the best ways to achieve deep comprehension is to learn from our mistakes. And thankfully, practice questions and their answer explanations equip us to do so during our EA exam Part 1 prep. To give yourself the best shot at passing the Enrolled Agent Exam Part 1 on the first try, you should prepare with an enrolled agent review course. You have a lot of different EA review course options to choose from, so you must take the time to learn which one is best for you. My comparison of the most enrolled agent courses can help. Gleim EA Review is the most popular EA review course on the market, and, in my opinion, it is also one of the best ones. Gleim’s EA course discusses every exam topic thoroughly in well-written textbooks. It also has a large test bank of excellent EA practice questions as well as several layers of helpful customer support. What’s more, you’ll see a variety of prices for EA exam prep. For instance, Gleim EA Review costs $500 – $600. However, this course covers all 3 exam parts, so you get a lot for your investment. And thankfully, you can also save money on your course with my enrolled agent course discounts. Another great source of information about the enrolled agent designation that can get you through the entire process and help you pass the exam on your first attempt is my free EA e-course. Learn more about my e-course now or sign up below!